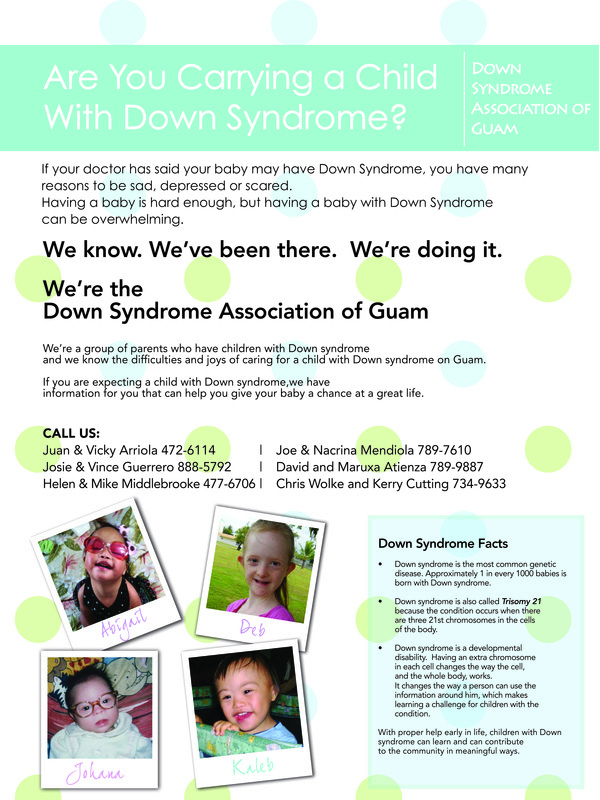 The Down Syndrome Association of Guam (DSAG) was revitalized and reorganized in November 2000 after having been inactive for several years as a result of key members having been temporarily situated on Guam, then relocating off-island. It serves as a support group for families of individuals with Down syndrome, and most recently, other developmental disabilities. 4) to raise funds to finance the above activities.